At a Country Meadows community, our philosophy is to make senior living as easy as possible so that residents can enjoy doing what they love most. Even active seniors may find they need some help with activities of daily living. From assistance with dressing to medication management, our Assisted Living and Personal Care residents enjoy programs customized to provide the aid they need. Additional services are available through Connections Memory Support Services and Pathways Restorative Services™. Country Meadows offers Assisted Living in our Frederick, Maryland and Forks of Easton locations and Personal Care services at our other Pennsylvania communities. 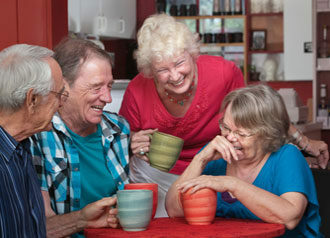 Learn more about Assisted Living in Pa., or visit our Pennsylvania communities in Allentown, Bethlehem, Forks Township of Easton, Hershey, Lancaster, the South Hills of Pittsburgh, Mechanicsburg, Wyomissing, York-South (Leader Heights) and York-West or our Frederick, Md., campus for more information.